The bohemian vibe is so popular…and I really feel it’s because it helps us all feel more creative. The punctuation marks of earthy material, the richness of textures and the flowing fabrics all create a sense of bliss in a space. 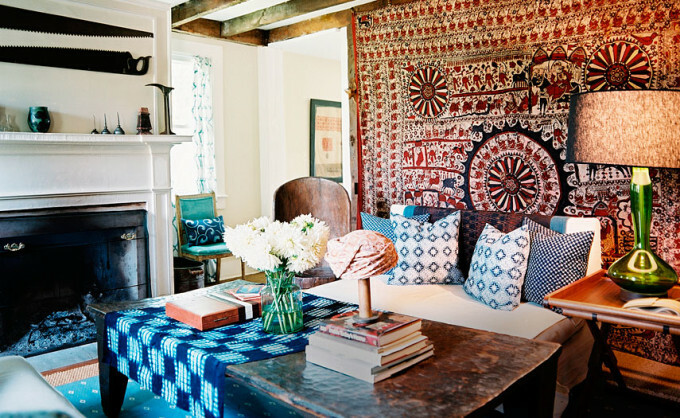 From framed scarves to walls blanketed in fabric, the boho in textile takes center stage today. 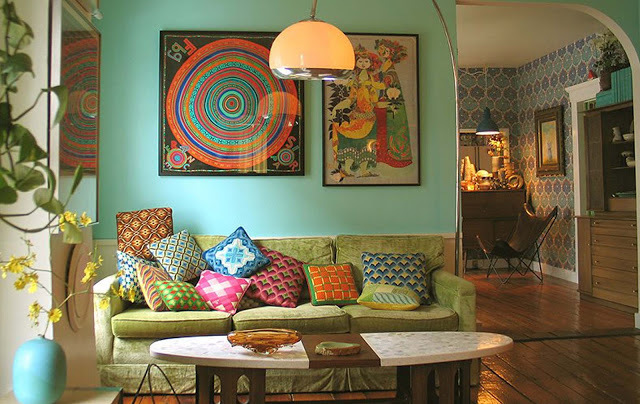 Just a little can go a long way in re-vamping rooms that are longing for spirited love. 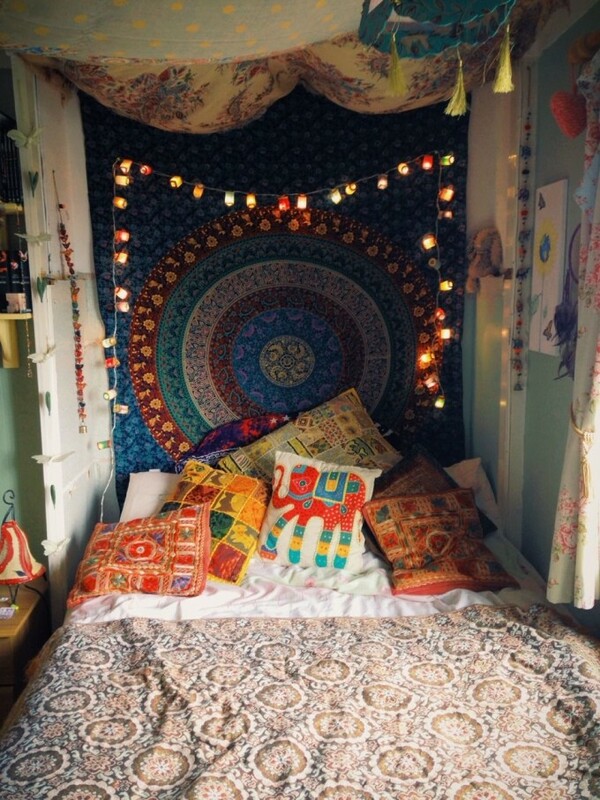 Here’s an uber-example of Boho wonder, layers upon layers of fabric even hang from the ceiling to cocoon a space. 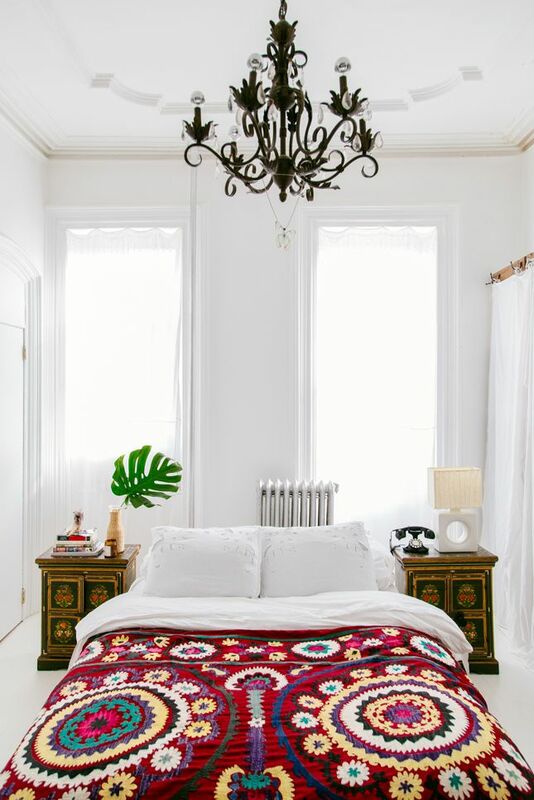 The less-than-awesome parts of this room (like the radiator, the chandelier a bit too far over the bed) are mitigated by the tapestry bedding that is pure visual joy. The table-runners, tacked up tapestries and tons of pillows all echo water and earth and create calm flow. And your outdoors is as vital as the indoors! 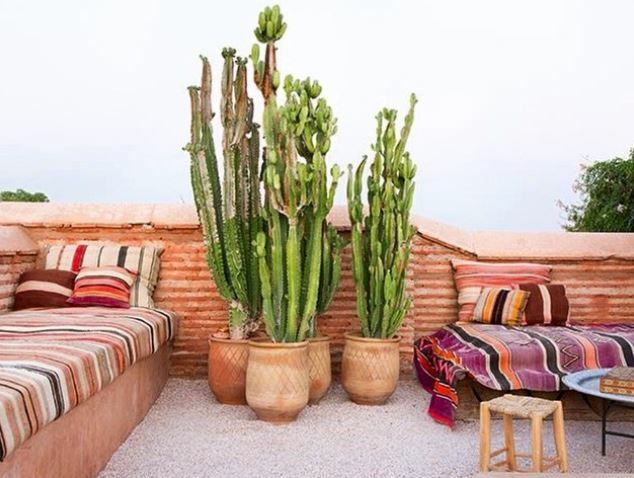 Here, some amazing woven blankets make the outdoors irresistible. Just a little fabric can create so much visual intrigue. A whole lot of fabric can create a brand new space. Experiment with exotic, vintage or handmade textiles. They can light up your space. And your life. 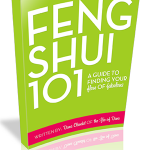 Previous post: Silence Can Be Your Superpower! Next post: The Space Between Things Is Where Inspiration Lives!